Long-standing Spanish neutral internet exchange, ESpanix has chosen the Coriant Groove G30 network disaggregation platform as the foundation for a high-speed optical backbone network connecting its major data centre sites across Madrid. Founded in 1997 as a non-profit association for network operators, ESpanix operates carrier-neutral facilities and a peering platform that has a peak of exchanged aggregate traffic over 500Gb/s. It provides local and international traffic exchange services to more than 100 networks, including those from some of the world’s largest service providers, internet content providers, enterprises, and access providers in Spain. The initial deployment of the Coriant solution is already supporting resilient 100G services between the ESpanix Intersion PAR and ESpanix NODO data centre locations, and it was chosen for its density, low power consumption, and plug-and-play modularity. 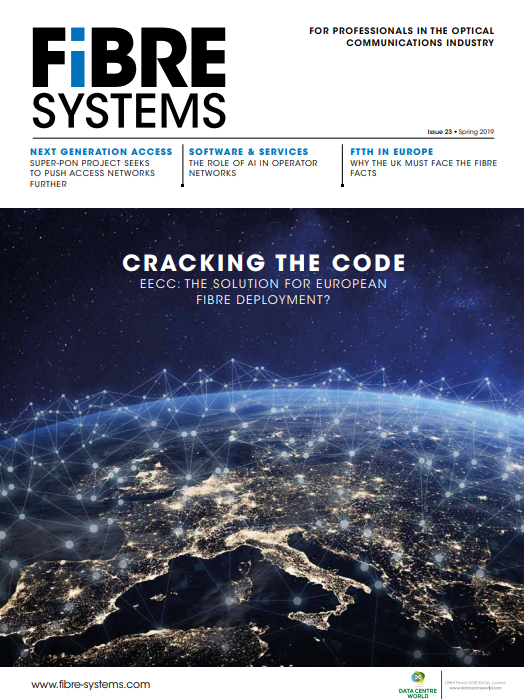 The aim is that it will enable ESpanix to cost-efficiently deliver 100G interconnect services, while significantly reducing leased fibre costs via improvements in DWDM transmission efficiencies and spectral utilisation. This deployment further widens the net of Coriant customers getting into the Groove, with other recent announcements from Silicon Valley in the US (see Hurricane Electric deploys Coriant Groove DCI platform) and the Netherlands (see Worldstream gets into the Groove for Netherlands backbone resilience).